Even modern furniture is designed in simple and minimalist look, but it does not eliminate the function of storing. And kids bedroom furniture is made to complete the storage area for kids who definitely need lots of space to stock their stuff. 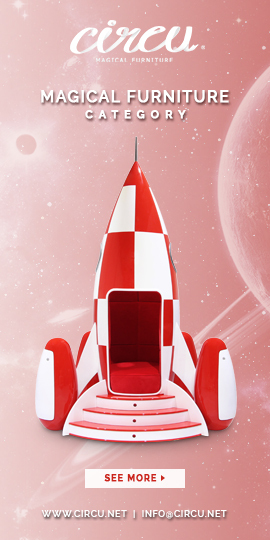 That’s why, moms and dads, which modern furniture for kids is designed based on the most creative ideas. 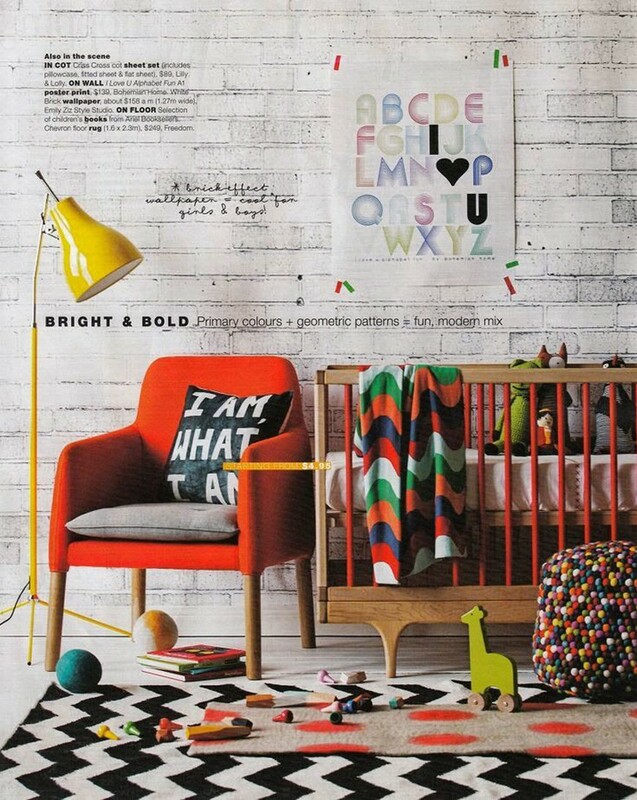 In the today’s article, Kids Bedroom Ideas‘ editors present 50 super fun and colourful kids bedroom ideas, full of modern furniture ideas that are designed in sophisticated and used functionally. Check them out! This one is for the party girls. A glittery pink decor will make her go absolutely nuts and invite her friends over and over again for sleepovers. If you have a cool brick wall, take the most out of it. Paint it with a youthful colour and turn it kid-safe. They’ll love the industrial vibe of it and it will make the room a lot more comfortable. You can always take advantage of the rusticness of an old brick wall. Add some stickers to it, a piece of art and get yourself a nice floor lamp. The contrast will be incredible. 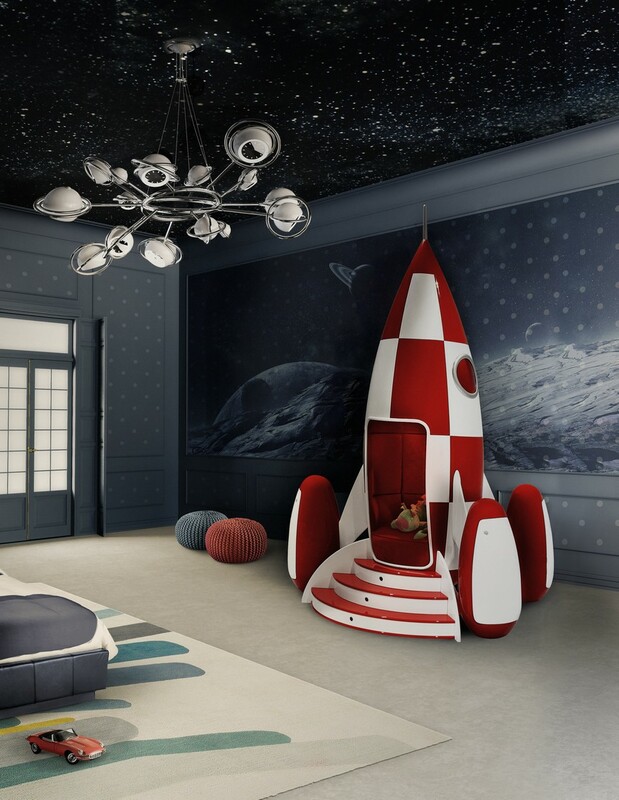 What about a space-themed bedroom? Kids love everything related to outer-space. It makes them dream of the edges of our universe, unexplored planets and, of course, cool spaceships. A nice wallpaper or paint job is obviously mandatory, as it is essential to create the sci-fi vibe. Little girls love Mermaids. It’s safe to say that this mermaid-fever began with the movie Little Mermaid (probably) and it continued to grow. 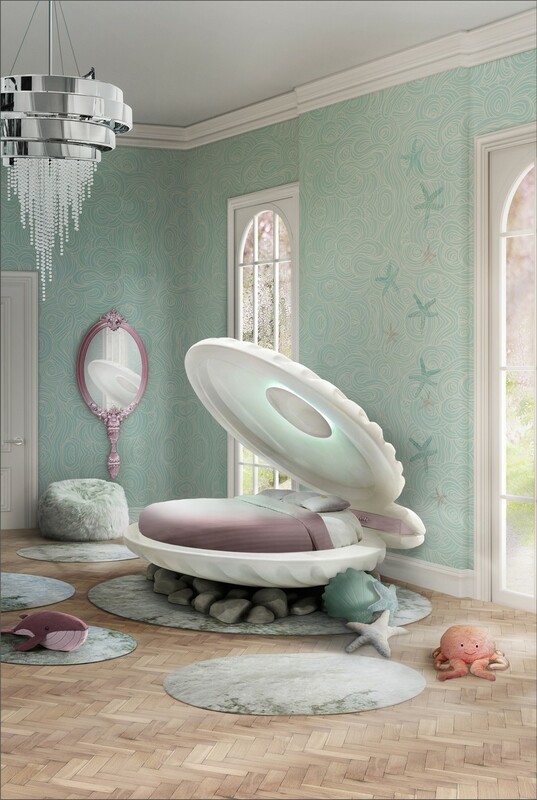 Well, you can give your little girl a proper mermaid bed without having to look for it. Add a nice chandelier and a deep-sea-themed wallpaper will do the rest of the job. 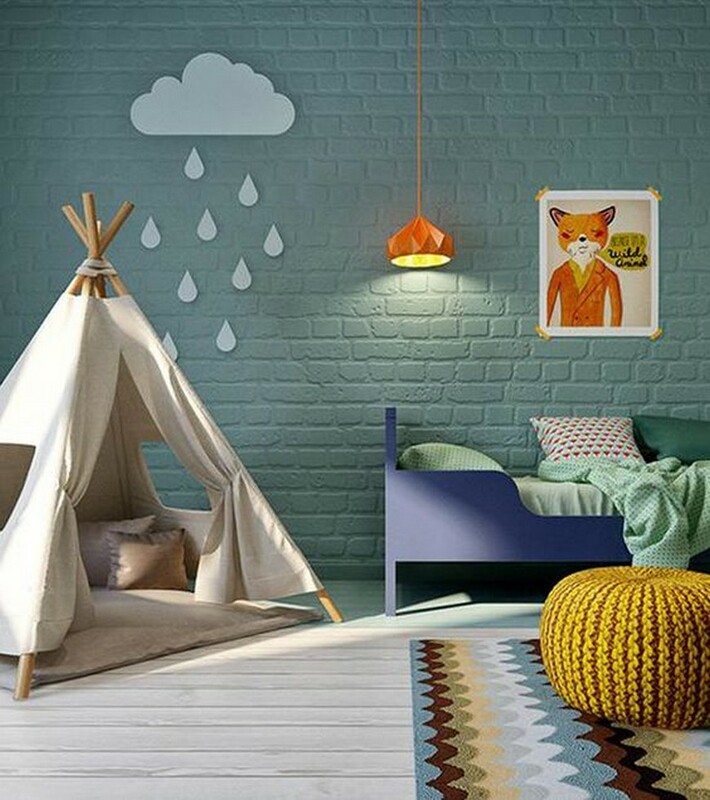 This bedroom decor will take your kid high above the clouds. A neutral colour palette on the walls, with the rug and the bed serving as colour pops. 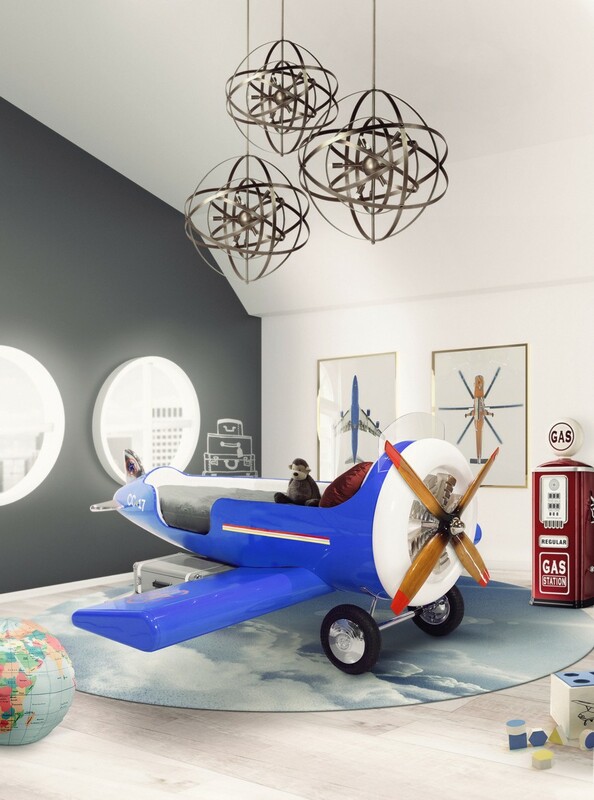 The perfectly simple yet remarkable decor that will make your kids feel like real pilots.